Nielsen Ratings: number 63 (of 96) on the TV series hit list. 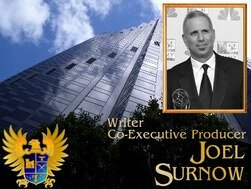 This season is produced by yet a new crew again. 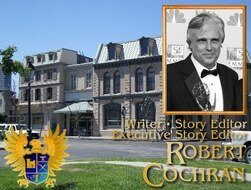 JERRY THORPE serves as executive producer, JOEL SURNOW as co-executive producer; ROBERT COCHRAN is the new (executive) story editor and also writer of a few episodes. VICTORIA LaFORTUNE, who has been associate producer since the show's inception, now becomes coordinating producer, which is still a merely technical job without any connection to the storylines. JOANNE BROUGH is asked to stay and gets a deal as consulting producer, but will have no influence on the program anymore according to her own statement because the new crew will constantly ignore her advice. This junk season will inevitably lead to the series' ruin. Many interior sets are in very shrill colors this year. There is a predominance of intense yellow, blue and dark red colors. Most interior sets also look very cheap, especially the first floor of the Falcon Crest Victorian Mansion and Richard's house. This season, not a single scene is filmed in the Napa and Sonoma Valleys.